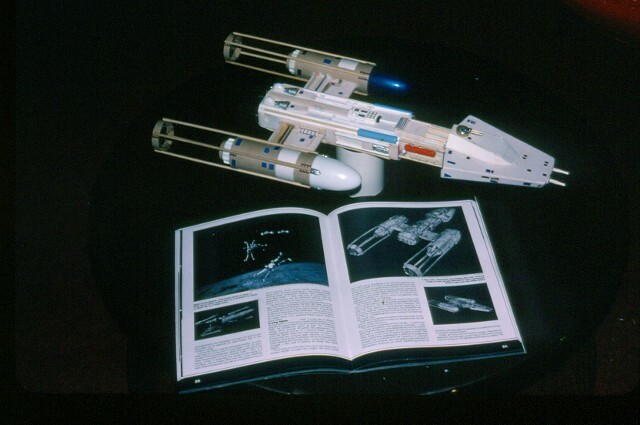 The scratch-built Y-Wing Fighter, during the building process. 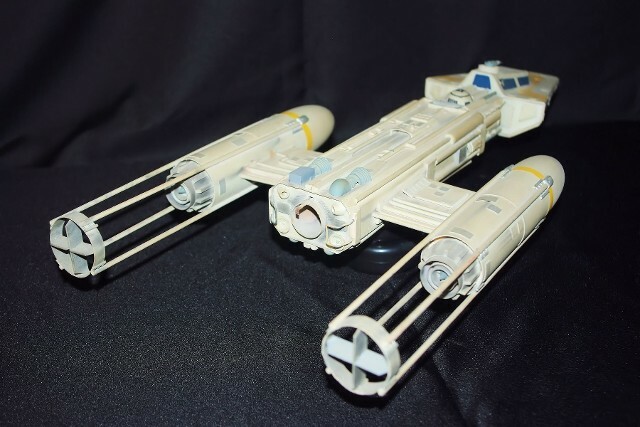 Just like the movie models, this one was built from parts procured from other model kits. For rocket flight, fin units had to be slipped over the thrust-vectoring extensions of the engines to place the center of pressure behind the center of gravity. 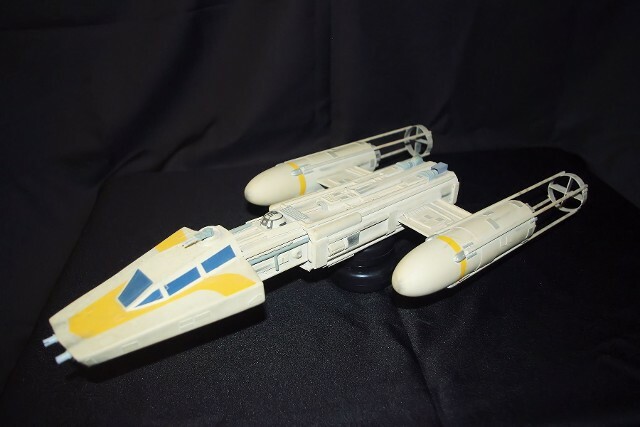 Because of its weight, the model flew with an Estes "D" engine.